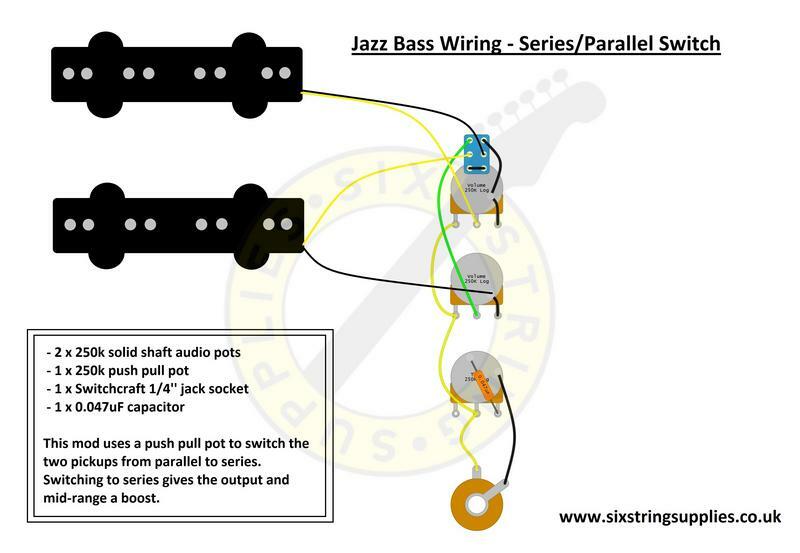 Alternative wiring diagram for a Jazz Bass - by replacing the first volume control with a push pull pot, you can use it to switch the pickups from parallel (normal) to series. With the pickups in series together, you get a boost to your output and mid-range. This simple wiring setup requires no modification to your pickups and no modification to the rest of the circuit.